Washington is struggling to stymie the growing trend of terrorists radicalized on American soil, U.S. officials said Wednesday. 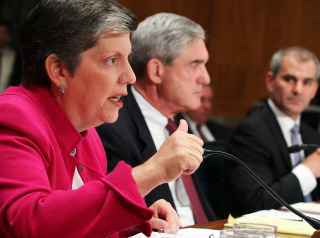 Homeland Security Secretary Janet Napolitano, testifying before the Senate Homeland Security and Governmental Affairs Committee, told senators that despite a surge in homegrown terrorist activity, the department is still fighting to figure out how to best combat it. “We do not yet have a complete understanding of what would cause a United States person to radicalize to the extent of violence,” said Napolitano, adding that the department was aiming its efforts at the community level by sharing information about what forms early signs of violent radicalization might take.